Bringing the Churrasco experience to Wellington. We offer traditional Brazilian Churrasco, an exquisite bar menu, a world-class cocktail list and an extensive wine selection - all this in Wellington’s city centre. Our commitment to providing pure excellence is unfaltering. Relax and enjoy in the knowledge that we will exceed the expectations of all who enter our doors. 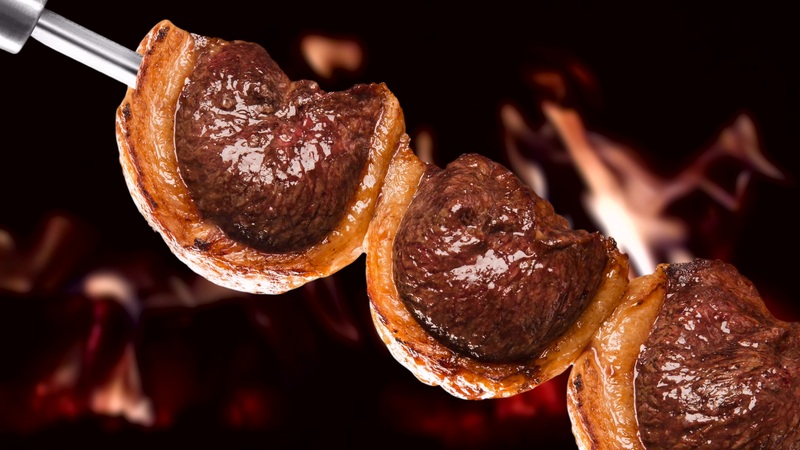 Traditional brazilian barbecue (churrasco) where you dine to your heart’s content at one set price. Prime cuts of New Zealand beef, poultry, lamb, pork and seafood are cooked to perfection over glowing coals and served continuously straight to your plate by our attentive waiters. We offer a unique A-La-Carte Lunch Menu with an array of signature dishes, small plates, gourmet burgers and more. Available only for lunch. Our wine cellar features a range of varietals predominantly from New Zealand, as well as South America, Australia, France, Italy and Spain. We also offer a large selection of shared and infused cocktails and twisted classics along with an extensive range of craft beer and premium spirits. We welcome groups of any size up to 120 and can accommodate your event even at a short notice at any time of the year. We also cater to a range of dietary requests, offering a selection of paleo, gluten free and vegetarian food. Festive delights, seasonal menus, lunch specials and more. Find out what’s ‘New From The Fire’ at Wildfire Restaurant. The complete range of protein options served until you drop. Excellent range of side dishes just to mix it up. Good wine list and friendly attentive staff made for a good night all around. Festive delights, seasonal menus, lunch specials and more. Wildfire Gift Vouchers make an ideal gift for anyone and for any occasion.